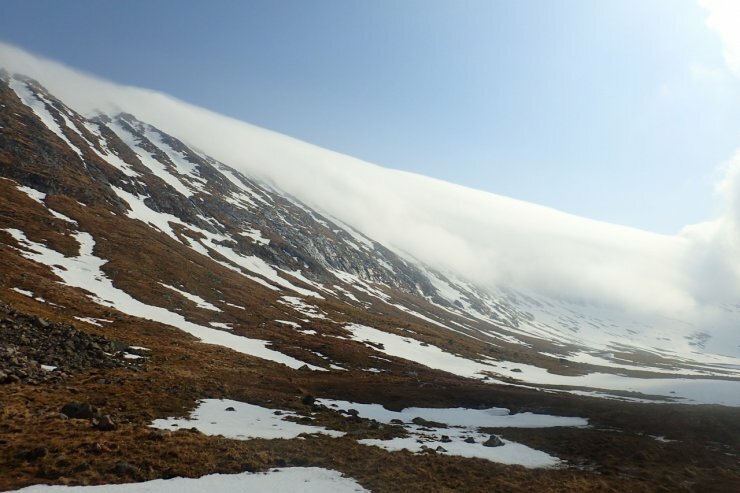 A cloud sat over the top of Aonach Mor today. Many other mountains were clear and sunny. 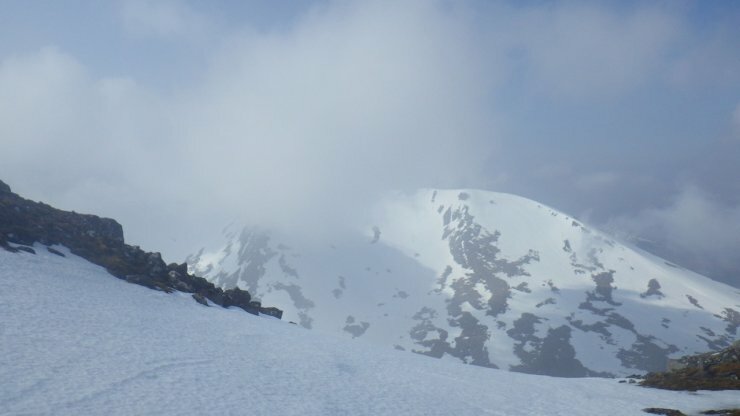 The freezing level was well above the summits and there was soft spring snow on all aspects. 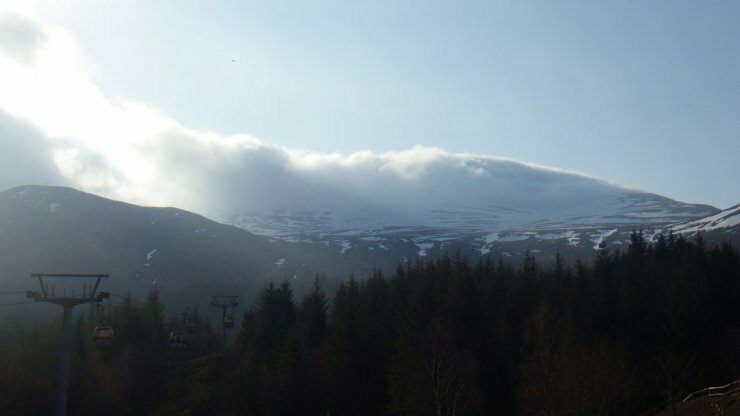 This cloud sat over Aonach Mor all day while other areas enjoyed a good bit of sunshine. Carn Mor Dearg in one of the better breaks in the cloud. 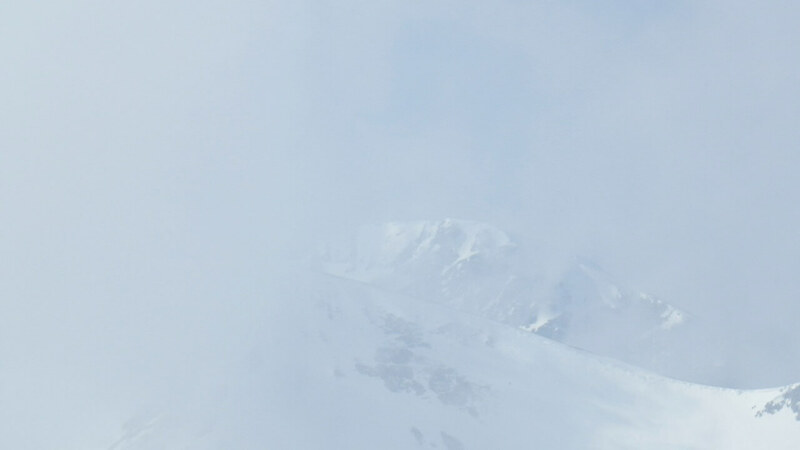 Ben Nevis briefly visible through he cloud. Looking up the Allt Daim. 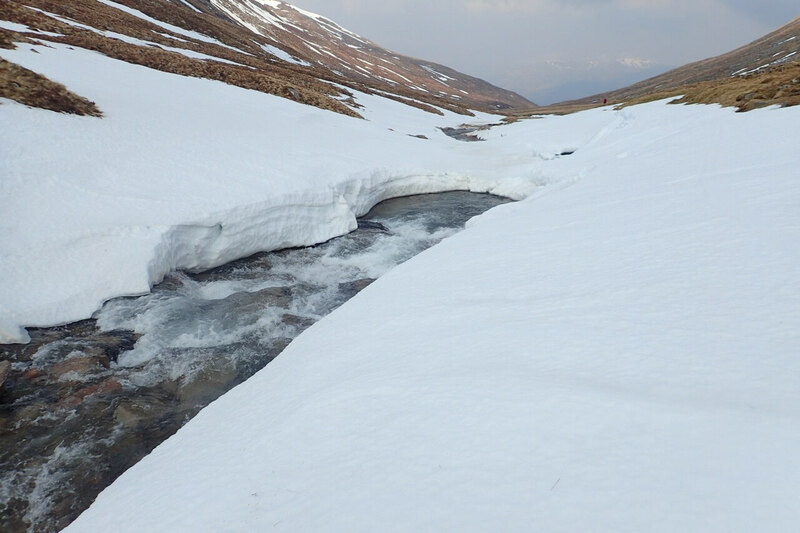 Snow bridges becoming very unreliable in the warm temperatures. 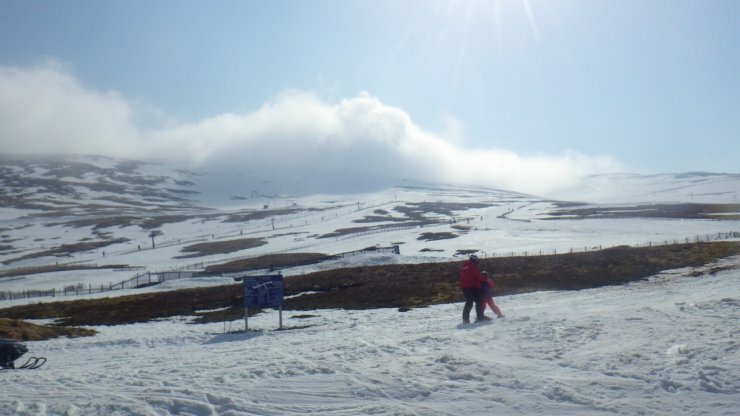 There’s still plenty of snow for skiing at Nevis Range. The bare areas in the picture are between the ski runs.